Prepared with mixed spices, Kilishi can be taken alone as a snack, or with a cup of ice cold soaked garri. 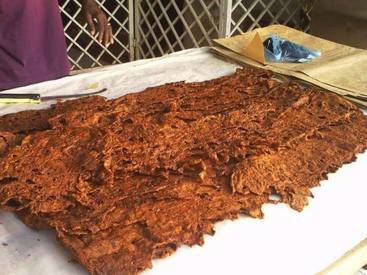 Although the origin of Kilishi remains unknown, Aminu, tells Pulse that the meat snack was a product of man’s effort to preserve excess meat. The art of kilishi making is being passed to generations in most northern families.